Some of the best Android apps not on Play Store may seem like a paradox, but really isn’t! Here’s a are a bunch of awesome apps that you won’t find on the Google Play Store, but totally worth your time. The Android OS is incomplete without the service that brings millions of useful apps to all of the devices. Over the years, the Google Play Store has not only become larger and more useful, but restrictive as well. In order to keep up with the ironclad defense that the iOS App Store offers, Google Play has some strict guidelines for app developers. It’s absurd that you can find a collection of apps not on Play Store of your device, but third-party sources. These restrictions are a part of Google Play Store guidelines, or maybe due to the fact that apps are root-enabled. Either way, it just doesn’t seem fair that you don’t get to enjoy the best apps, not on Play Store. We’ve already made our stance clear on cracked apps and why they’re not only illegal but dangerous for your device. Some of the apps that you don’t find on the Google Play Store aren’t the best example of legit apps. However, we’ve tried and tested them to be safe for your Android device and worth the extra effort. Apps not on Play Store – so how do you install them? The process by which you can install apps on an Android device without the Google Play Store is called sideloading. App developers use the process of sideloading to build and test their apps before publishing them on the Play Store. However, end-users like us can also use sideloading to install APK files directly, without the Play Store facilitating it. Enable Developers options menu by heading over to Settings – About phone – Build number and tap on it 7 times. You should see the message “You are now a developer!” pop up on the screen. Head back to the Settings menu again, where you’ll be able to see the Developer options screen. Open it and scroll down to find the “Unknown Sources” tab. Press the toggle switch next to Unknown Sources and confirm your action by pressing the “OK” button. Now that you have the Unknown sources enabled from the Settings, you’re all set to get started. Since the default format for all Android apps is APK, you will have no trouble installing all the unofficial apps, not on Play Store. We’ve made extra sure that these third-party apps not on Play Store are bug-free and worth the trouble. Make sure that you use the links we’ve provided to download the APK files for speedy and virus-protected downloads. 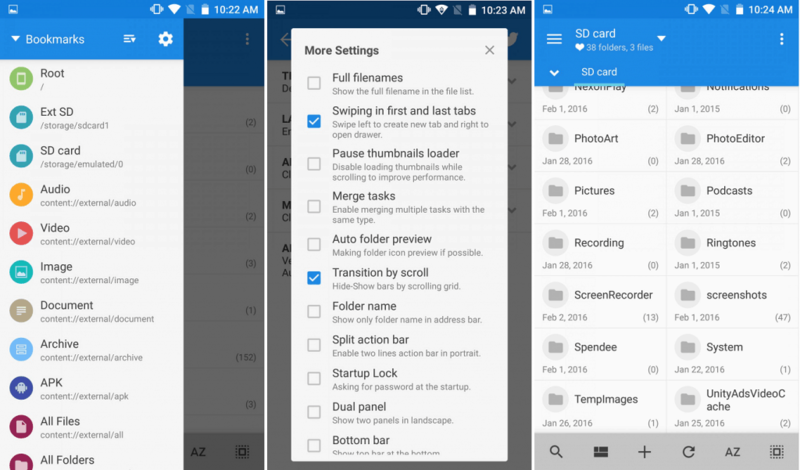 You can consider F-Droid as an open-source version of the Google Play Store where there’s no hierarchy of apps. 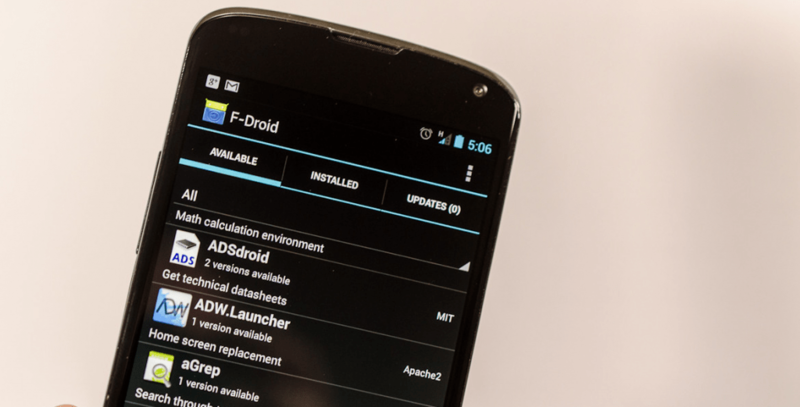 Possibly the largest repository of apps not on Play Store that you can find, F-Droid is the motherlode of APKs. What makes F-Droid different is the fact that it comes without advertising and does not track user data. You can not only find most of Play Store apps on F-Droid but much more that are otherwise invisible. This unofficial Android app market is actively developed by the community and comes with its own set of security features. We’ll be highlighting several APKs in the list, all of which can be easily downloaded using the F-Droid Android client. Platform gamers who are smart with their money already know how awesome the Humble Bundle service can be. For the unaware, Humble Bundle gives you the ability to pay and get a bunch of apps and games together. This Android/PC service allows you to take control of your wallet by paying not a cent extra. Humble Bundle is unique not just because you get apps and games for Android and PC for cheap. The service is intertwined with users, developers and several charity services, making sure that each transaction brings some goodness. With the mobile app, you can manage your purchases and make new ones, while receiving the latest updates too. Whether you’re a good guy who only uses legal torrents or a member of the pirate ship, we’re not judging. 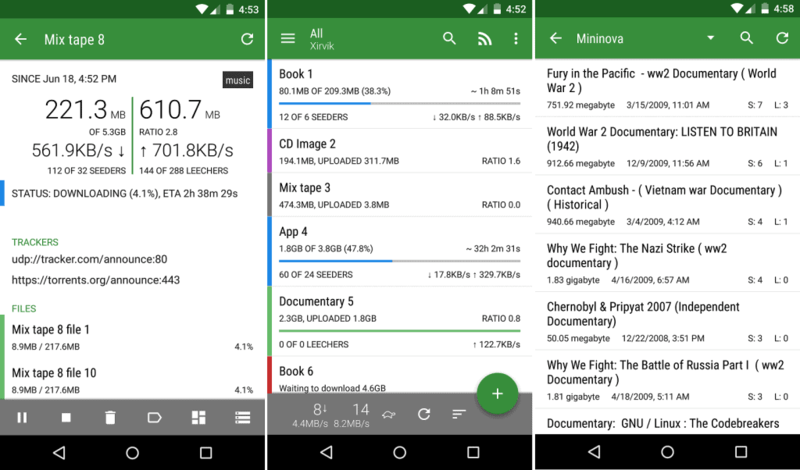 However, you’ll soon realize that most torrent clients for Android lack the depth that the PC torrent clients have. Transdroid is among the apps not on Play Store that you can find but allows you to control remotely. The app comes with support for home servers and seedboxes to manage your premium torrent accounts. You also get remote control features to add torrents, start/stop them and set priorities for almost all the top clients like uTorrent, Vuze, Deluge and more. You can get a barebone version of Trandroid from the Google Play Store. However, you do miss out on special features like built-in torrent search and RSS feeds. We’ve covered automation in the past and as the IoT era picks up, the need for apps like Tasker is always increasing. While Tasker is definitely not among the apps not on Play Store, it is offered at a premium price. With no obvious way to get a trial subscription, you might end up spending money on an app you don’t like, or never trying out Tasker. However, the developers have made it easier for you to test out Tasker by offering a sideload version. All you need to do is install the Tasker APK file and enjoy your 7-day trial subscription of the service for free. 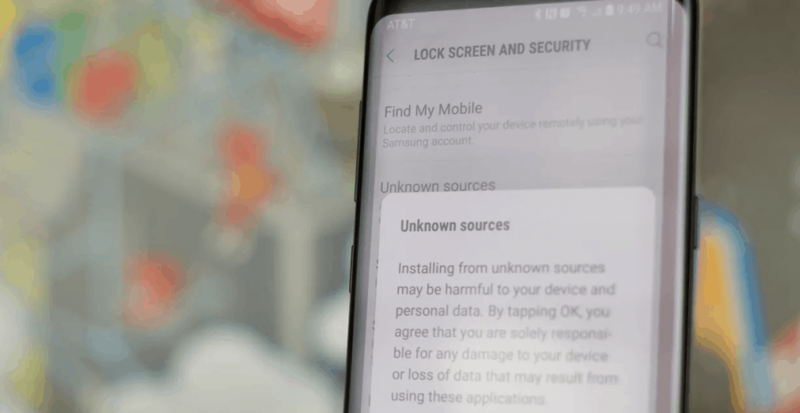 If the ability to automate your Android device seems interesting, you can then go ahead and spend your hard-earned money on the full version. The ability to stream thousands of movies and TV shows has changed the entertainment industry, especially for us freeloaders. Popcorn Time is one such streaming service that offers all the latest content for free. While the legality of it all is questionable, the service does work flawlessly right from the start. 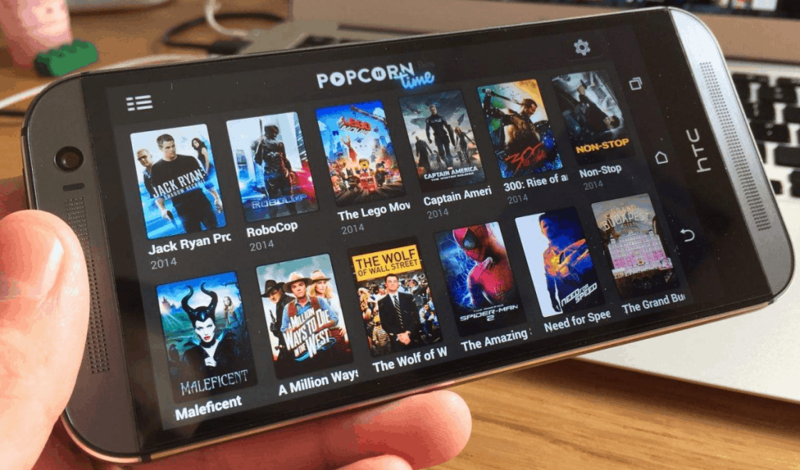 Available for Android devices, Android TV, and Windows as well, Popcorn Time is a torrent client with a built-in media player. You can set the streaming quality based on your internet connection and even pay for the built-in Popcorn Time VPN for some safe, secure and anonymous media streaming. 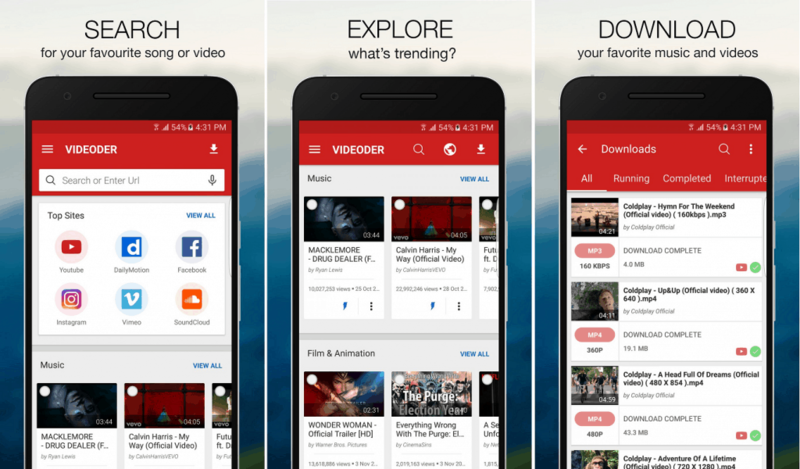 Your best source of online entertainment is made better with the Videoder app, putting YouTube on steroids. What makes Videoder one of the best apps not on Play Store is its ability to find your favorite clips and turn them into downloadable audios and videos. But the app is not limited to YouTube – you get the support for Facebook, Hotstar, Voot, Instagram, and dozens of others. Simply start browsing the videos that you want to rip from YouTube, all the way up to 4K QHD for videos. While the app is still in beta, it does a pretty decent job of ripping audio from videos to create your favorite music playlists. Not just that, you can even synchronize your music library with the accurate cover art and audio tag editor. The Sony Xperia series has its own upsides, one of which is the ability to remotely play PlayStation games. The PS4 Remote Play app is available in the Google Play Store but just for the Xperia devices, so what about the other users? 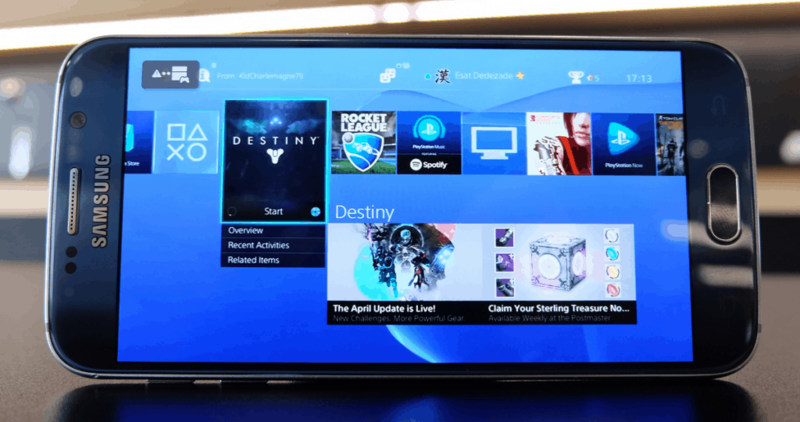 Thanks to XDA user Twisted89, the PS4 Remote Play is available for porting on all Android devices on Android 4.2+. The app comes with native support for the PlayStation DualShock controllers, but you can configure it with third-party controllers too. Just follow the official guide from Sony to set up Remote Play with your PlayStation 4, connect that controller and enjoy high-end gaming experience directly on your Android device. While not the ideal way to spend your money, millions of people enjoy online poker with real cash. Since Google has a strict policy against gambling apps, PokerStars is among the apps not on Play Store right now. Although you can download the iOS version of the app right from the App Store, the Android version of PokerStars is only available as APK. Giving you the thrill and excitement of the real deal with PokerStars Championship and Festivals, you can track everything on the go. From playing ring games, Sit & Go’s and tournaments built for your skill level, PokerStars comes with features like quick seating, live chat, multi-tabling and more to give you the complete experience. For all the audiophiles out there, finding a good equalizer app for Android that actually works can be baffling. 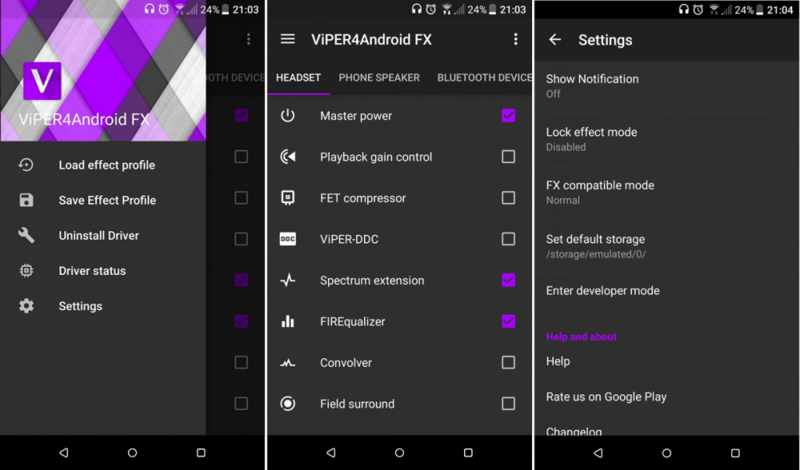 However, ViPER4Android has risen as an option that helps you tweak not just the software, but the physical hardware of your device for better sound quality. The app allows you to easily create customizable audio profiles not just for wireless/wireless headphones, but speakers as well. Albeit the sound equalizer system is not the most user-friendly, but once you get the hang of it, you can fine-tune the sound system of your Android device to perfection. There no limit to the number of file managers on the Play Store, but MiXplorer stands out like a jewel. Built to outperform all the others, MiXplorer can manage your local storage, FTP server, LAN, and even cloud accounts. All managed through a customizable and elegant file manager, you get features like tabbed browsing and dual panels with easy drag-and-drop functionality. You won’t need separate apps to manage different files since MiXplorer can handle over a dozen encrypted/compressed file formats. The best part is that MiXplorer comes with support for 19 different cloud platforms, so you have plenty of ways to keep your internal storage clear. With a built-in media player with VLC codecs, root-enabled features, and document viewer, this file manager is the whole package. What are your thoughts on these cool Android apps not on Play Store? Do you know any other APKs that are otherwise unavailable but totally worth having? Be sure to let us know in the comments section down below. If you want to know more about how these apps work or have something to add to the discussion, come over to the Updato Forum.